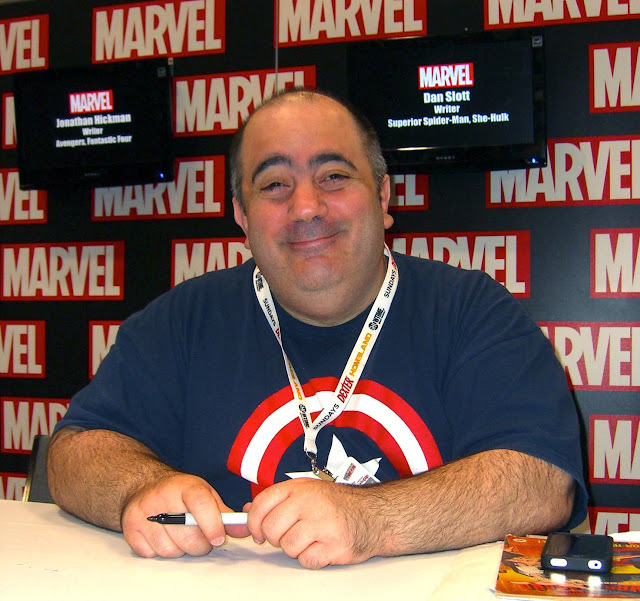 According to the March 2018 solicitations from Marvel Dan Slott will be kicking off his final Amazing Spider-Man arc that month. Starting in issue #797 the story is called "Go Down Swinging" and is illustrated by Stuart Immonen. 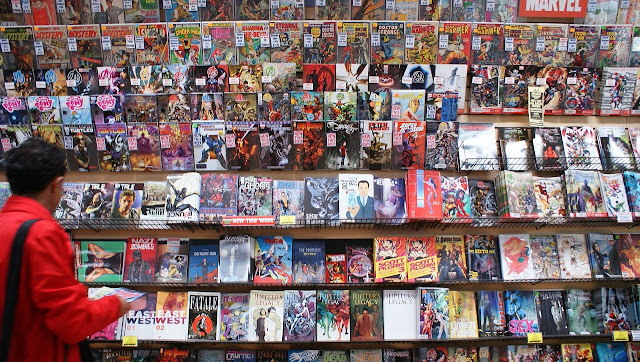 Part of the text in the solicitation reads, “Dan Slott has saved his most harrowing Spider-Man story for last.” The Green Goblin is supposed to return and there is mention of a new character called the Red Goblin. 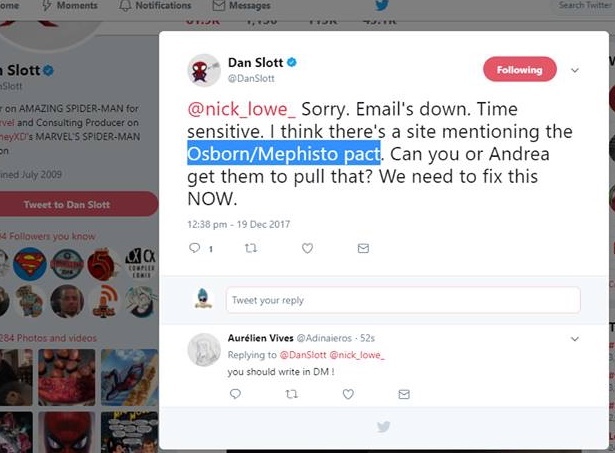 Now the interesting part is that on December 19 writer Dan Slott posted a tweet that apparently was meant to be a direct message to Marvel editor Nick Lowe where he asks him to look into a website that mentions the Osborne/Mephisto pact. The tweet has since been deleted. But we got it for you right here. Of course Slott has tried to mislead fans in the past via deleted tweets and public DM's. So all we can do right now is speculate how this might all play out.